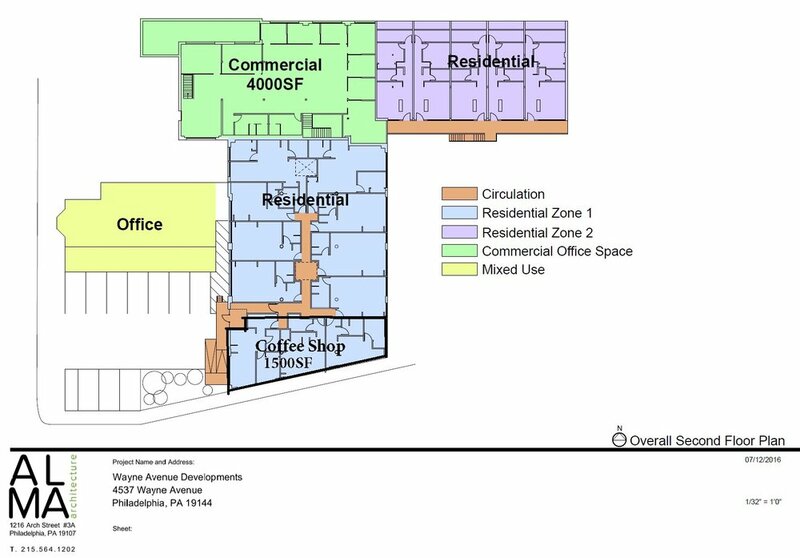 4000 — 10,000 square feet of commercial space is available in Golaski Park, an upcoming mixed-use development in the historic Wayne Junction area of Germantown, Philadelphia. The project will include 29-30 apartments on-site, and beautifully landscaped public gardens. Confirmed commercial tenants — so far — include a café as well as a restaurant. Construction on the commercial space is expected to be completed in the first quarter of 2019, with the apartments finished soon after. This site would be ideal for a maker space, a music studio, offices or storage.